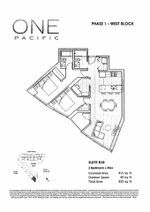 Lavish in luxury at ONE PACIFIC by premium developer, Concord Pacific! Great value, just over $1000/SF - beats buying an older condo for same price! GST PAID...BRAND NEW 936 SF, 2 bed, 2 bath + DEN w/partial water views on the 8th flr. Inside you'll find a spacious and beautiful galley kitchen with a full size Miele appliance package, nice subtle separation between dining/living rm & stunning marble tile encased bathrooms. Wide plan engineered hardwood flooring, quartz counters, built-in closet organizers, roller-shade window coverings & over-height 8'6 ceilings. EV (electrical vehicle) parking & storage locker included! Maintenance fees also include air conditioning, heating, hot water and gas! 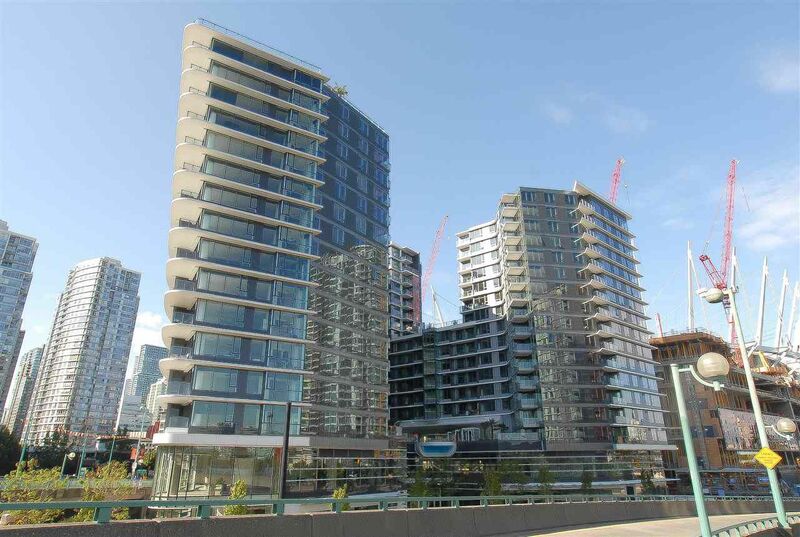 Only a 10 min walk to the Yaletown SkyTrain as well. Also enjoy peace of mind with the 2-5-10 year warranty. This area is undergoing major urban planning & is an excellent investment opportunity as well as a wonderful condo to live in!